Download Your Free Guide and Learn How to Draw Today! Learning how to draw can be challenging, but if you can learn and master the drawing techniques in this free eBook then you are well on your way to drawing with confidence and accuracy, which is what any draftsman aspires to. All you have to do is take it one drawing instruction at a time, and adapt the drawing lessons you learn to the sketches, outlines, and drawings that you create while working in your studios. So start with exploring depth as you learn to draw still lifes or landscapes, move on to adding value in order to give your drawings more realism, and don’t forget learning to draw colorfully—as that is the key to emotion and expression to many works on paper. Learning to draw is a matter of familiarizing yourself with a few essential drawing techniques that act as a foundation, no matter the subject matter or style. But discovering and working on those building blocks of drawing on your own can be frustrating if you aren’t sure where to start. That is where the free drawing instruction eBook comes in. Atmospheric perspective: Objects that you want to appear far off should be drawn differently than those in the foreground of a drawing. Learn to draw objects to achieve an atmospheric perspective in your work. Level of detail: If you want steps on how to draw the illusion of distance, one of those steps will be learning what level of detail is appropriate for objects close to you and what is right for objects in the distance. This is often a matter of learning varying qualities of light and dark as well as softening and blurring the marks you make. 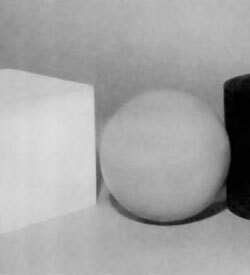 Learning to draw objects with a use of values is what gives them a more natural appearance. Value is the level of lightness or darkness in any given color, and when applied translates toward a strong understanding of shading. In this free guide you will learn the system of terms that goes along with learning how to draw with value because once you know the name of and can identify the values you are looking at, you are going to more easily learn to draw them. 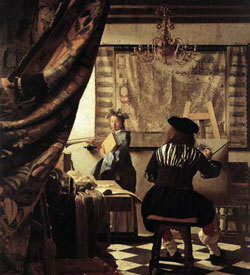 You will also discover drawing instructions on the nature of planes or the facets of forms. It is crucial to understand how light hits the different planes of an object determines the value of the light on that plane. Color is one of the most exciting and rewarding parts in drawing because color can be used expressively to project emotion and feeling, but it can also be used to reinforce the realistic qualities of your drawing. Using pastels for rich color is something many of the great masters of art did centuries ago, and you can continue in their footpaths. 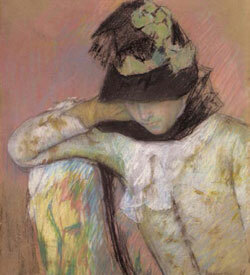 Learn how to call attention to your drawing with color from Mary Cassatt. See how J.M.W. Turner used heavily pigmented body color to capture the glowing sunsets he is so famous for! Understand the reflective sheen of a bird’s wing just like Albrecht Dürer. Discover how Odilon Redon used a palette of earth tones in order to intensify his colors and make them glow. In this free eBook, you’ll also find this Learn to Draw with a Quill Pen bonus chapter that will reveal the history of one of the most prolific and popular tools of drawing masters past and present. Plus, you will learn, step by step drawing with a quill pen, which was the instrument and predominant tool of the Old Masters. And learn from contemporary masters of today, many of whom still use the quill pen for drawing techniques that set their work apart. With these drawing instructions you can take your drawing to the next level!